The NO.1 IP01 is several gadgets in one. The main function is that of a walkie talkie, with the special feature that it also serves as a case for your iPhone. In addition, it serves as a power bank that can be used to charge the battery of the smartphone. 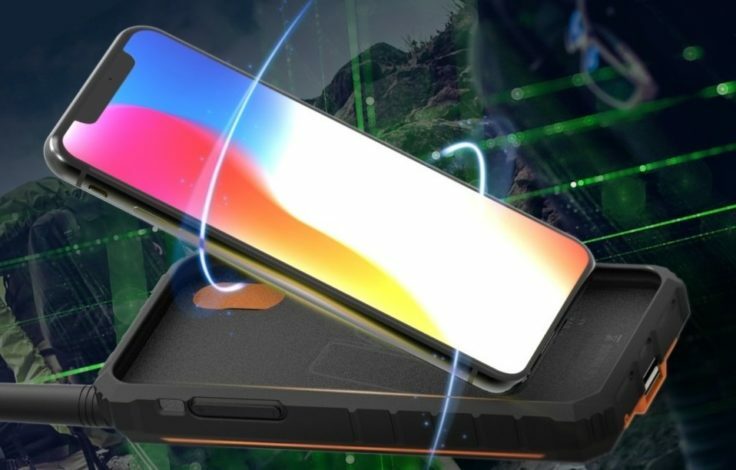 This turns the iPhone into an outdoor mobile phone. Is there a sufficiently large target group for this? Apart from the obvious functionality, few details of the IP01 are known so far. The manufacturer DT NO.1 is currently advertising it with a giveaway for the launch, in which one of a total of five devices can be won. But you can’t buy or pre-order the walkie talkie yet, and also specific data about material and functions has hardly been published. As a walkie talkie, the IP01 theoretically also functions independently, without a smartphone. There is a small display on the back and four buttons below to operate the device. A total of 16 channels can be stored; the exact frequency spectrum of the walkie talkie, which is still in development, is not yet known. Of course, the IP01 should mainly be used with the iPhone. One is mostly particularly concerned about the mobile phones with the apple, a broken display in the $1000 iPhone hurts more than in the $200 Ulefone. Therefore, iPhones are not particularly well known as outdoor-ready (although waterproof). This is supposed to change with this case, which protects the mobile phone on all sides; apart from the display, of course. The cover consists of two layers, which prevent fall damages and of course also protect against scratches. Finally, the IP01 is a power bank with a capacity of 3500 mAh. This would allow an iPhone to be fully charged once. With all the benefits that such an iPhone may offer, the battery capacity of all models is far below the average of other major manufacturers. One could argue that the problem zones of the iPhone are specifically addressed here: The case makes it more robust and provides a longer battery life; both would certainly be helpful in nature. 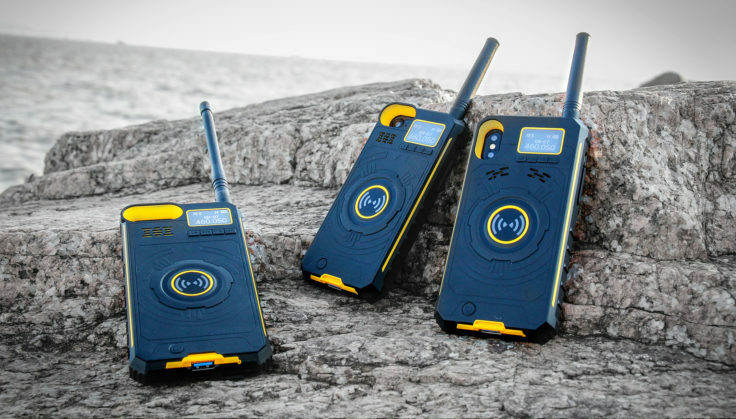 Walkie Talkie or Case are available in three different sizes. The gadget is 100% designed for use in nature (one could say “in the wild”). 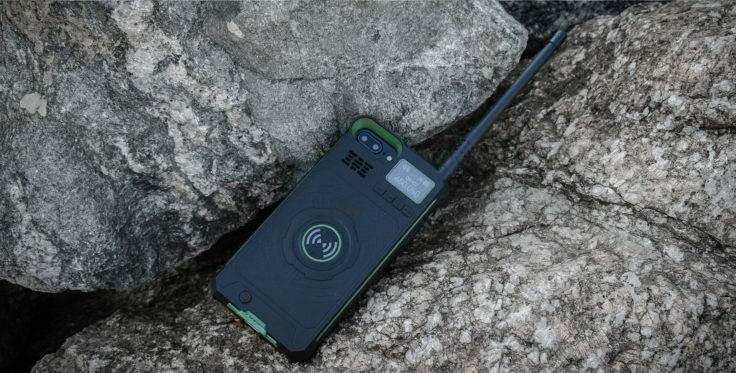 A mobile phone case with walkie talkie only makes sense if you don’t have a network. In the city (and even in rural areas with a mobile network connection) I could simply, I don’t know, use my iPhone for telephoning? I also need at least a second device for my companion, who of course also needs an iPhone.